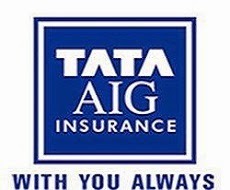 Private insurance firm Tata AIG General Insurance Company Limited has recently announced the launch of three new health insurance plans - MediPlus,MediSenior and MediRaksha. 'MediPlus' is a smart and affordable top-up health insurance plan, while 'MediSenior' is a health insurance plan tailored for senior customers above 61 years of age and 'MediRaksha' is a basic medical insurance plan designed to cater the medical needs of residents in the semi-urban and rural locations and for the economically weaker sections of the society. “With the ever-rising costs of healthcare services and rising inflation, senior citizens are grappling to keep up with basic medical expenses", said MD & CEO of Tata AIG General Mr. K.K. Mishra. “These new plans are a comprehensive offering with a unique set of features that distinguishes itself from the existing gamut of health insurance products currently available for all", he added.